The past few days have been eventful around here… And not in a good way. We were entering Phase II of our “backyard flock expansion,” where we felt the 10 week old hens could hold their own against the Big Girls, and therefore allowed everyone out of the coop/tractor to free-range together in chicken-scratching bliss. It was quite lovely. On Friday, my mother was visiting and I had a new friend over to “talk shop” about oil-infusing, calendula growing, and lip balm-coveting. The three of us had just sat down at the table in the garden to chit-chat and drink tea, while Sweet Toddler ran amok amidst us. We were close to the hen yard, probably 50-70′ away from them, and weren’t being quiet by any means. I felt like our presence in the yard was pretty solid, and was completely surprised by what happened next. I heard some birds chattering. Birds are always chattering. Their symphonic prattling is always present in our yard, as we are often frequented by stellar jays, robins, crows/ravens, woodpeckers, doves, and scores of other winged-friends that only my bird-nerd best-friend can identify. Admittedly, they’re not my favorite visitors, because they often steal the harvest, but we tolerate them, and they are a subtle reminder for us about the wild spaces that surround us. We live on the edge of a very large, well-established old neighborhood. We’ve got a lovely location right in the city, but the blocks behind and around us are all basically wild spaces. It’s a great mix for a city/country girl like me; but, I’ve realized, it also provides a false sense of security. In the spring and summer, our household spends approximately 75 percent of our time outside, namely in the backyard. I felt that the strong presence of humans was enough to deter winged predators from visiting, at least while we were home. I thought for certain if a predator attack were to take place, it would be during one of the bazillion times we leave the homestead for a quick (or not-so quick) errand. I always expected to potentially return to something unsightly, but not to view it. That makes me sound flippant about my flock. I assure you, I’m not. I secure them in their coop promptly at dusk every night, and their entire hen house is made of wood; elevated, latched, etc. I care for my gals and want to keep them safe. What I don’t wish for them is to keep them in jail. I have a smallish tractor, but not a big fully-enclosed run. I have dedicated a whole half of our large, fully-fenced backyard and have gifted it to my gals, in exchange for their lovely eggs and never-ending stream of entertainment. I thoroughly enjoy watching them scratch and peck, and often on warm evenings, sit under the Rowan tree, near the beehives and watch the bees and the hens go about their business. If we are to keep hens, this is the way we wish to do it. Where they can roam, roll in dirt, lay in the sun, or stand out in the rain if it pleases them. I am realizing this comes with consequences, however. It wasn’t the ravens who attacked my hen. They simply sounded the alarm. And bless them for it, because who knows what may have happened. I don’t remember hearing any of the hens cry out. In fact, moments after, I tried to account for them and couldn’t find them. They had scattered. Two Big Girls in the coop, and all of the rest under two large bushes. There are many places in the hen yard to hide, but where the Cochin lay wasn’t one of them. (Mostly stuff I can already find around the house, with a few extras from Amazon. I add to it, as needed. I’m thankful to have this stuff at the ready because I never know when it’s needed. Vetericyn is an awesome wound-cleaning gel, and it’s safe to use on all animals). I cleaned the Cochin’s wound and set out to make her a sheltered, segregated recovery area. By now, with the feathers clipped away from the wound, and Vetericyn applied, the hole in her side was making a whooshing sound, and she still wasn’t breathing well. Hours later, DH had finally returned home, and was trying to help me assess the situation. He heard the noise her wound was making, and saw her labored breathing, refusal of food and water, inability to move, and after a quick call to our vet for info, agreed with me that her time had come. I called our buddy to come help “do the deed” since we didn’t have any experience in this area. While we waited, DH put the pullet down in the grass and she began to walk around. This made DH feel like she deserved a chance, and when our friend got here, he checked out her wound and thought it could possibly heal and we should give her a day or two. We eye-droppered some more water into her mouth, and tucked her in for the night. I was not convinced. DH struggled with not being able to end it himself. The harsh reality is is that we are not chicken farmers, who are raising these animals as a means to an end. We are urban, backyard chicken keepers, who keep these hens half as pets and half as livestock. They have names and personalities; and we have our favorites. It’s hard to draw the line. It’s hard to muster up neck-snapping courage that neither of us have been exposed to before. Both of us know that keeping barnyard animals means that we have certain responsibilities that come with the need to acquire some “barnyard skills.” We are getting there– slowly. Our dear friend was patient with DH and explained the method as he did it, and held our sweet Cochin as she danced her end-of-life dance as to minimize the effect on poor DH. I don’t think I’m the only urban chicken-keeper who struggles with this. Everyone wants a backyard chicken, but are all of those prepared to kill it? It’s a question you’ve got to ask yourself when you sign up; or else have a friend who has deeper country roots than yourself. We learned many lessons from this hawk attack, and already have a 50′ X 50′ avian netting ordered. We plan to suspend it over the hen yard like a big top. It won’t be completely secure, but will hopefully be enough to convince those winged raptors that their isn’t enough space to swoop or land. (I pray that my next blog post isn’t about how we had to call Fish and Wildlife to come free a Red-Tail from our netting). We are also installing mirrors on top of our fence posts, flash tape in the trees and cd’s that dangle. The shiny things may be a deterrent, but probably not. They make me feel better though. I’ve got to take some sort of action. Beautifully written. I’m so sorry this happened. Thanks, Chris. The first loss is always tough, I suppose. It is hard, and I feel for you. I have found that acceptance of the life and death cycle in nature is actually a comfort. The hawk is born a predator, and deserves the right to live too. Life is cyclic and we are all just the parts of this cycle of life; we are many, humans, animals, plants and all, but we are also just one. Wish you the best on your journey of life! I do keep my hens safe. (See blog post for reference. There’s a whole HUGE paragraph dedicated to it). I also allow them to free-range, in my fenced yard, with many areas of protection from arial predators. There is a life cycle though, that repeats itself, and that’s not up to me. We cared for the hen, and when it was obvious she wasn’t going to make it, we put her out of her misery. The responsible and kind thing to do. In our household, taking hens to veterinarians, let alone finding one in my town that cares for hens, is not part of how we choose to manage our flock. We have done no harm here. 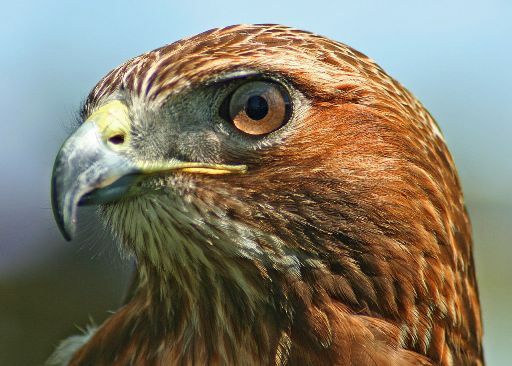 Your hens are not kept safe – a hawk fatally injured one. A hen’s life is your responsibility when they are kept by you. It IS up to you to make sure no harm comes to them if you choose to keep them in a fenced area. They have nowhere else to go. They depend on YOU for survival & safety – which you failed to provide. And “choosing to manage your flock” by not providing medical care when it is so obviously & desperately needed is beyond cruel. You have done harm, and it saddens me that you make excuses for yourself with phrases like “life cycle” as if it’s not your fault. I do appreciate your concern and it looks like we can probably debate this matter until we are both blue in the face, because we each share different views. I generally do not engage in these sorts of discussions on my blog because it doesn’t make a whole lot of sense to me. I put my life out in the blog-o-sphere, to be judged, and clearly, I’m not going to please them all. Your comment spoke to me deeply however, because I take great offense at a suggestion that a hen fatality is my fault. In reality, if you saw my space for my hens, about a quarter-acre, you would understand that there are more than enough places for them to “hide” from aerial attacks. Yes, that pullet was not able to do that, but the others did just fine. It was part of a life-cycle. Survival of the fittest. It was spring and the hawk was to feed her babies. Short of netting my whole entire yard and sitting in the coop on patrol, there is not a lot more I can do to keep them safe. I am not going to keep the hens jailed in the daytime because their quality of life and over-all health from free-ranging is more important to me. Their safety is not a flippant matter either, because if there are no hens, there are no eggs! At the time of the attack, I was outside, nearby, being loud, with several other loud humans and the attack still happened. So you can even say that the hens were “supervised” free ranging. The mistake I did make was allowing the pullet out at too young of an age, and you can bet with my following batch of pullets I did not do that. (They all survived this year). That was a mistake. Not an act of cruelty. I also think you will be hard -pressed to find a person with a flock of chickens who is vetting them. Well, maybe someone who is keeping them for pets, but we are not. We are very respectful of their lives. Just because we chose to end it rather than pay to make a most-likely very futile attempt to patch the pullet up does not mean we are cruel. I have a strong understanding of what cruelty is and I assure you will find none of that around here. I thank you again for your concern. It has allowed me to take a deeper look at my philosophies on the matter and I feel confident I have/and am making the right choices. Clearly, they are not the right choices for you, but the are for me. I wish you very well this autumn. Thank you, Karen. The hen’s safety is not a flippant matter because if there are no hen’s YOU don’t get your eggs? Really? Is that the reason their safety is important to you? I live in a rural area. Many people here have chickens. Everyone I know has their chickens “vetted” because they care about their welfare & safety, not because the hens provide eggs. Animals feel fear & sadness & pain. They don’t exist just to serve you. I never said keeping hen’s for eggs is wrong. Perhaps you might reread my last post.